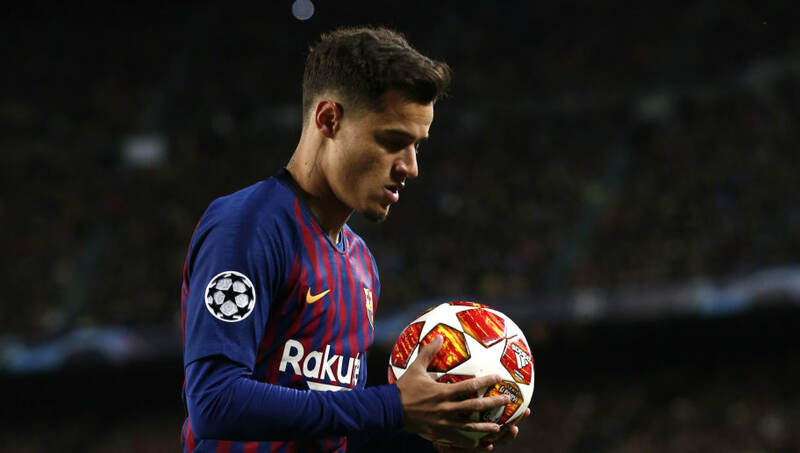 ​Philippe Coutinho has admitted that facing old foes Manchester United gives him added motivation as Barcelona prepare to take on the Red Devils in the Champions League. The two sides will do battle in the first leg of their quarter final tie at Old Trafford on Wednesday, and Coutinho has admitted that his ties with former club Liverpool will likely earn both him and Luis Suarez a hostile reception upon their return to Manchester. However, as quoted by the ​Mirror, Coutinho admitted: "If they boo myself and ​Luis Suarez, then that's normal at Old Trafford because of the team we used to play for. But it won't make any difference to me. "And, even more than that, it is an incentive to play better and to be even more focused. I know that games against ​Manchester United are special. I learned what they meant during my time at ​Liverpool when we lived it so intensely with the fans. "I have that nailed in my memory and, even though this is a different stage, if ​Barcelona knock United out of Europe, it will be a double personal satisfaction for me." Coutinho has suggested that Liverpool fans will be backing Barcelona to eliminate their great rivals. However, should both Barcelona and Liverpool advance from their respective quarter final ties, they will then be pitted against each other in the last four. That would see Coutinho line up against his former side, should Liverpool advance past Porto, and the Brazilian said of the prospect: "I know that Liverpool supporters will be with us at United. "But they know that later we could see them at Anfield and then, of course, I will be there with Barcelona wanting to win. It would be a dream to play at Anfield again, an explosion of different feelings, I'm sure. "But I have to be honest and say I would have preferred to meet Liverpool only in the final itself. "The tie is tough," Coutinho said of Barcelona's upcoming clash against United. "They have already shown what they can do by knocking out PSG and I think most people would say the tie is 50-50. "Playing at Old Trafford is one of the best feelings a footballer can have. The atmosphere and the history are incredible and if, on top of that, you get a positive result, then it's very special. "I don't have any particular advice for my team-mates because Barcelona are used to playing these big games and to having the second tie at home. Everyone wants to win this tie, not just me. "In almost five seasons with Liverpool I had both good and bad results here, so I'm not really thinking about the past. I only think about the present and knocking United out."